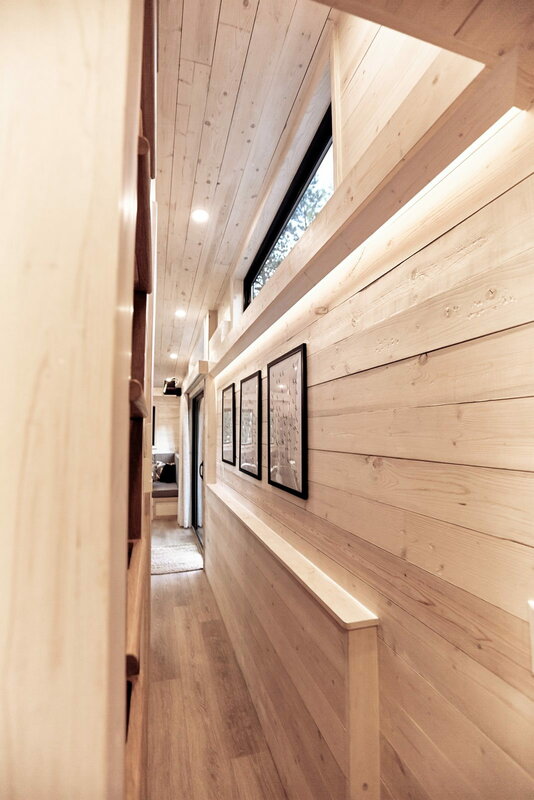 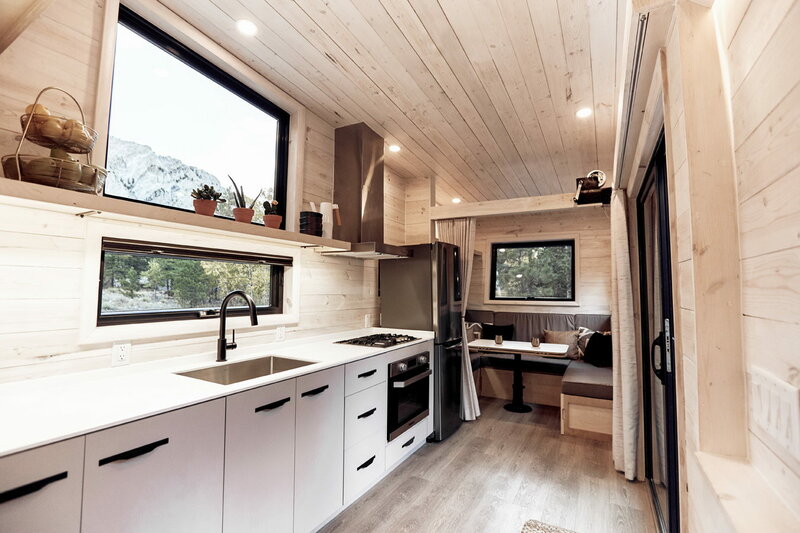 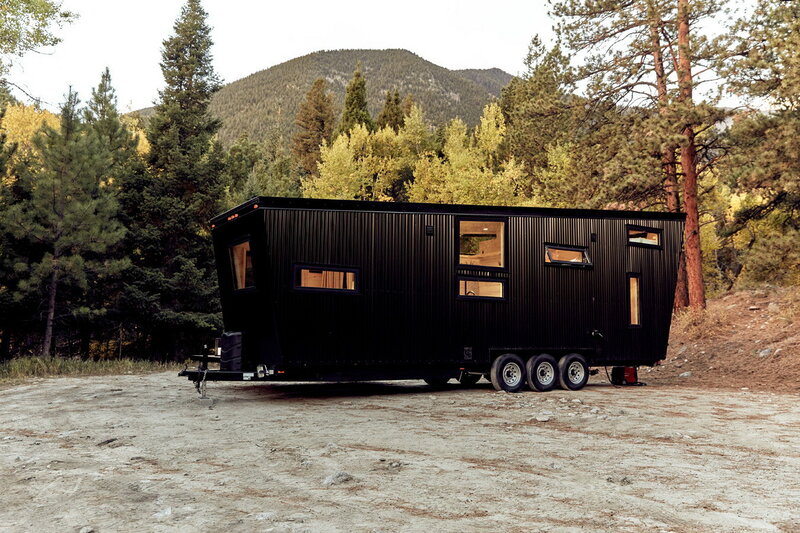 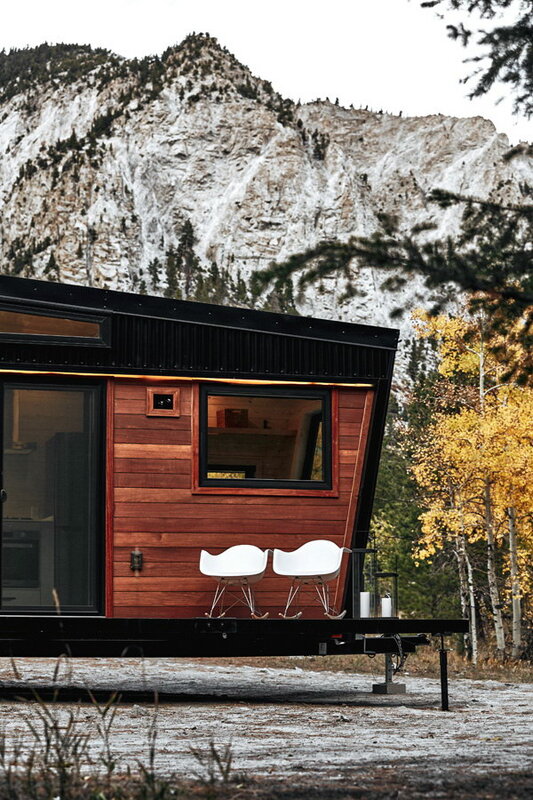 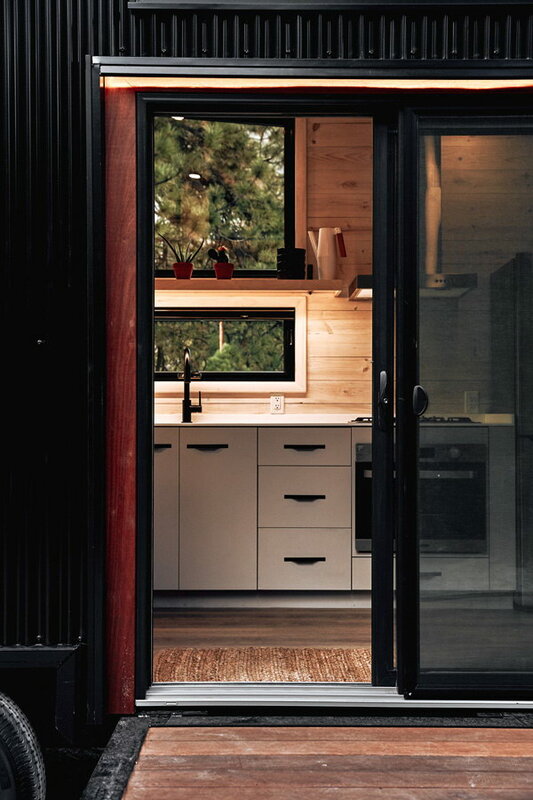 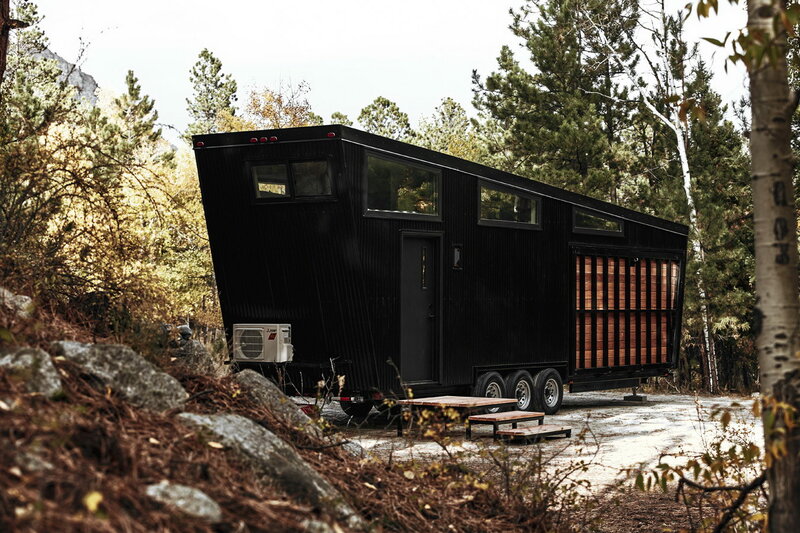 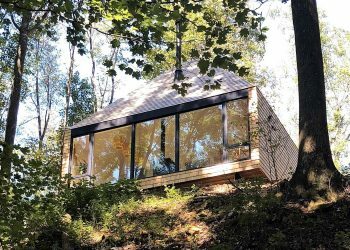 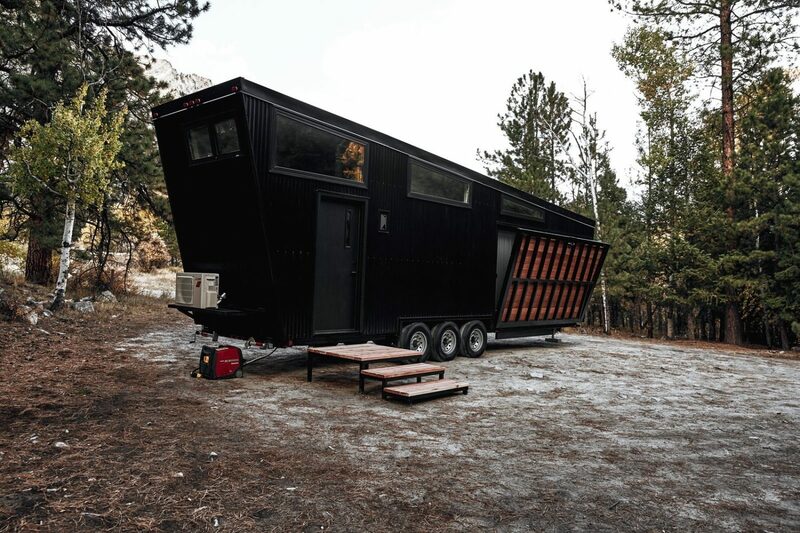 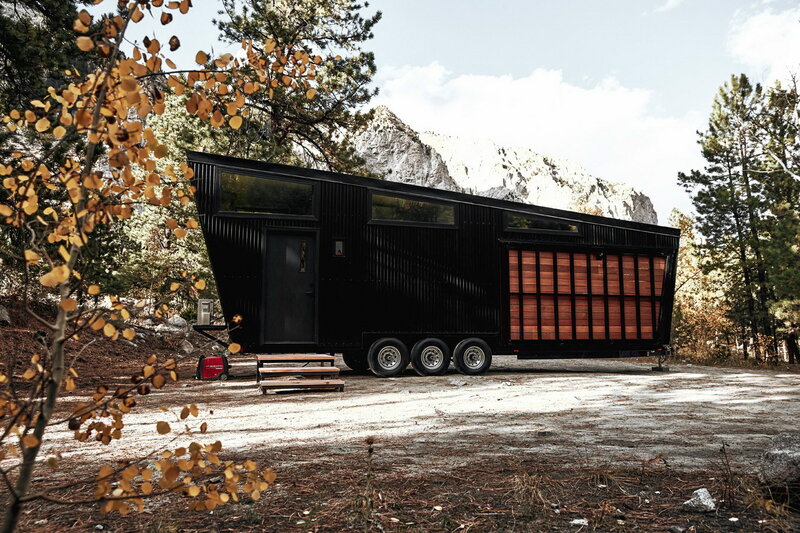 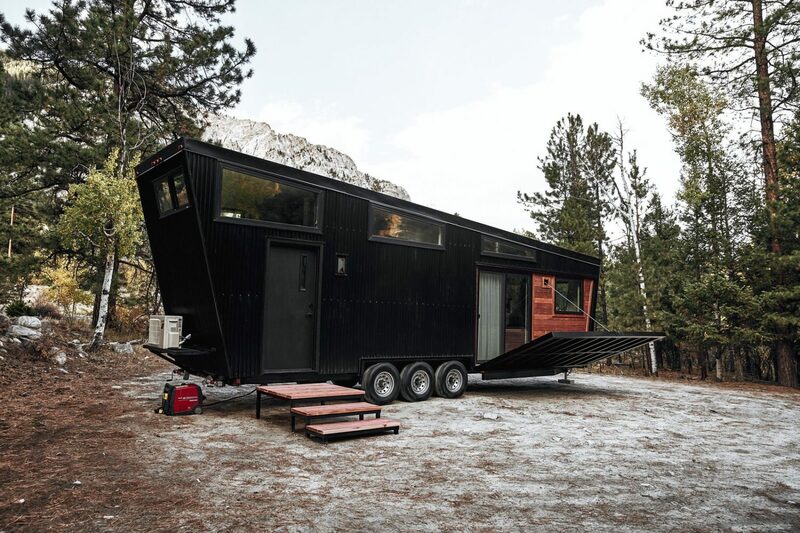 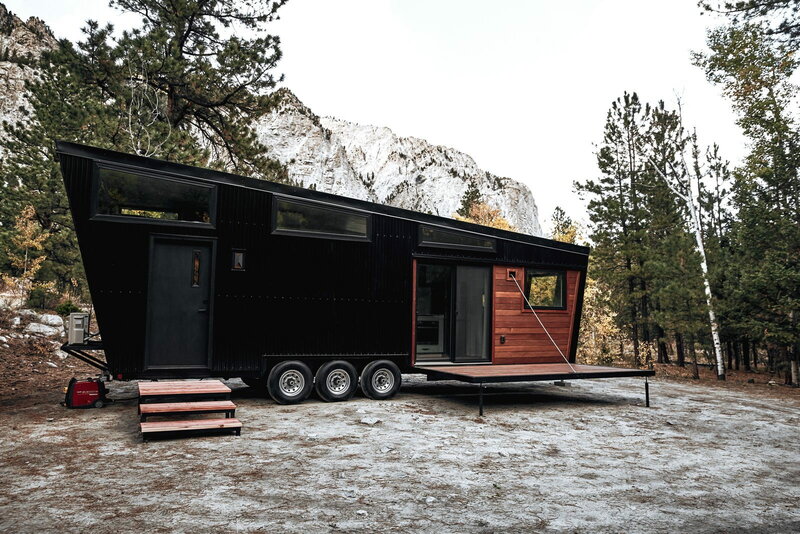 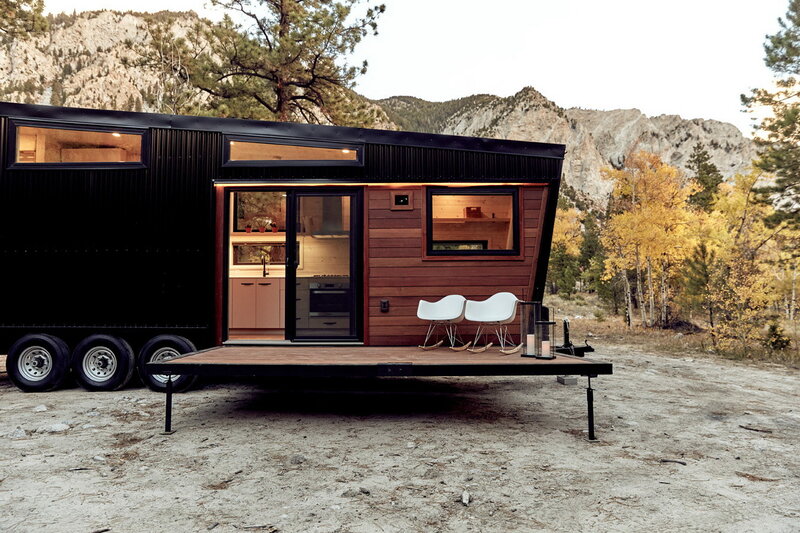 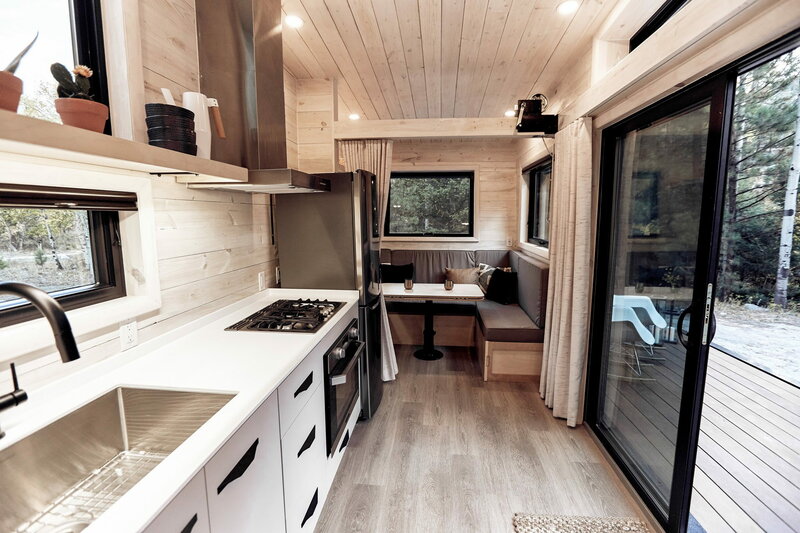 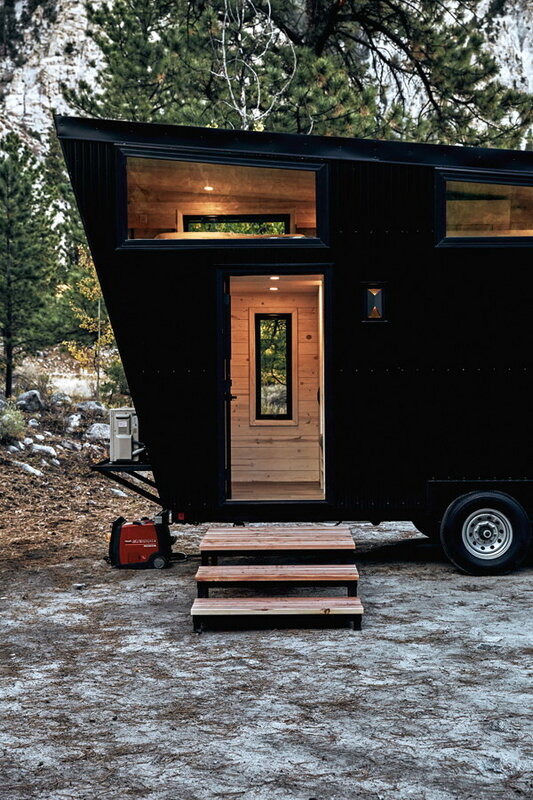 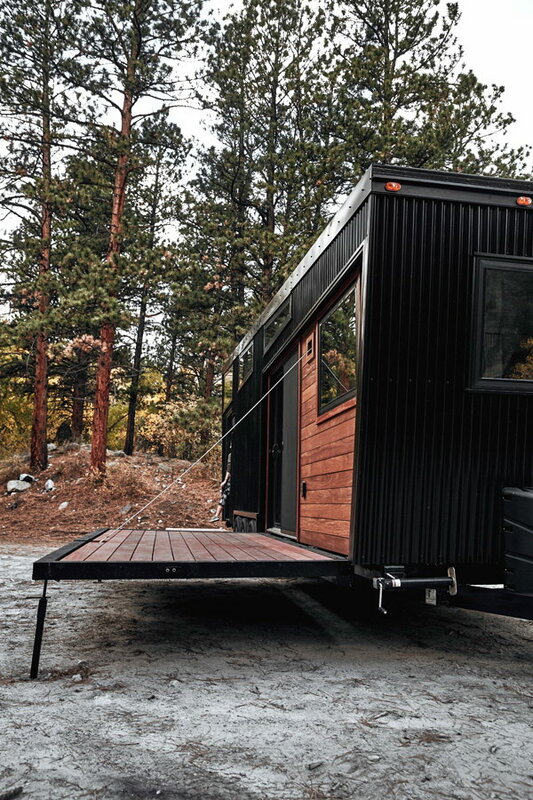 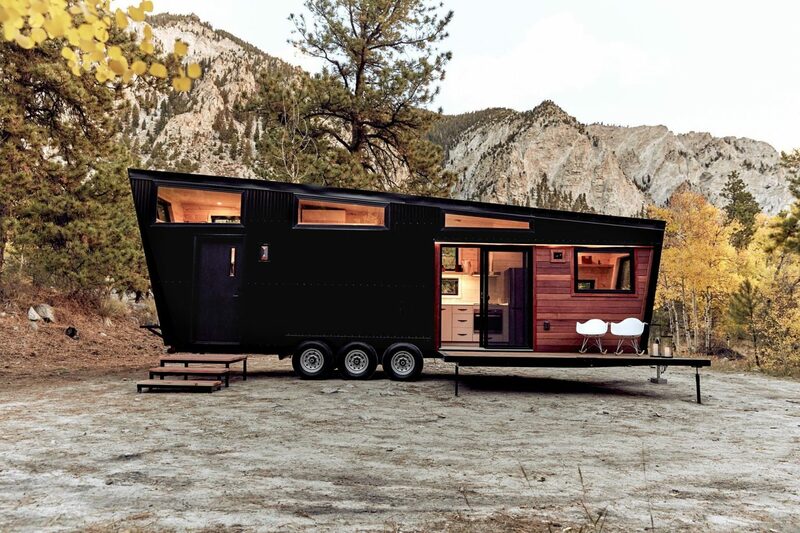 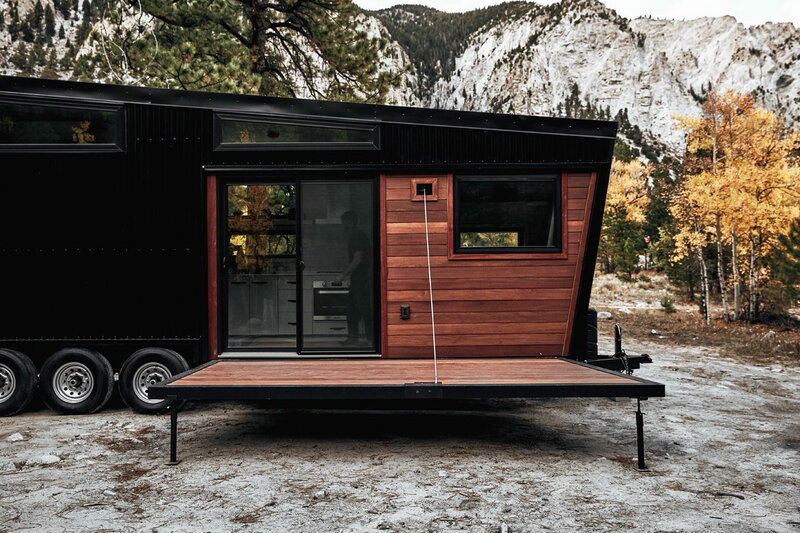 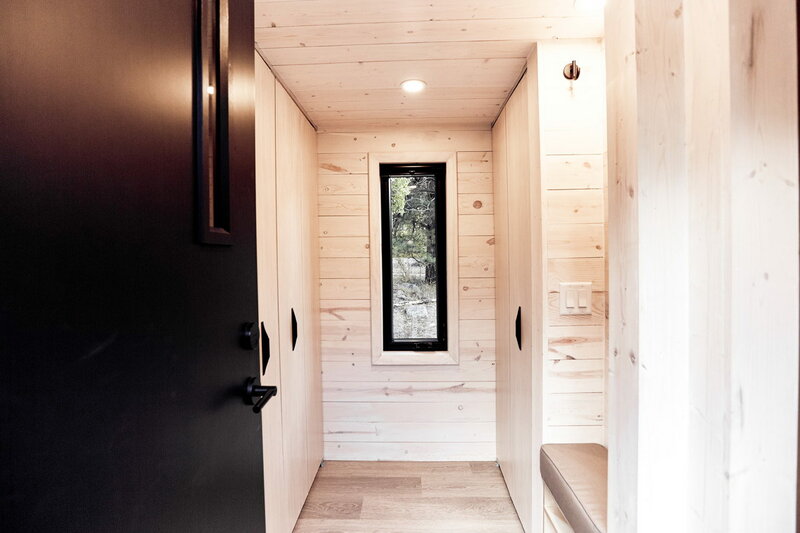 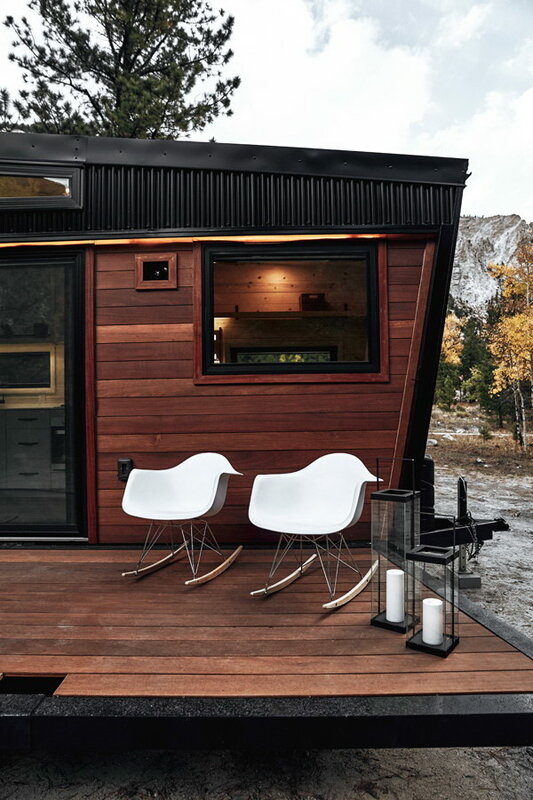 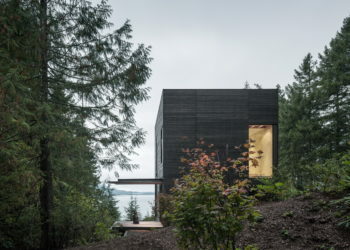 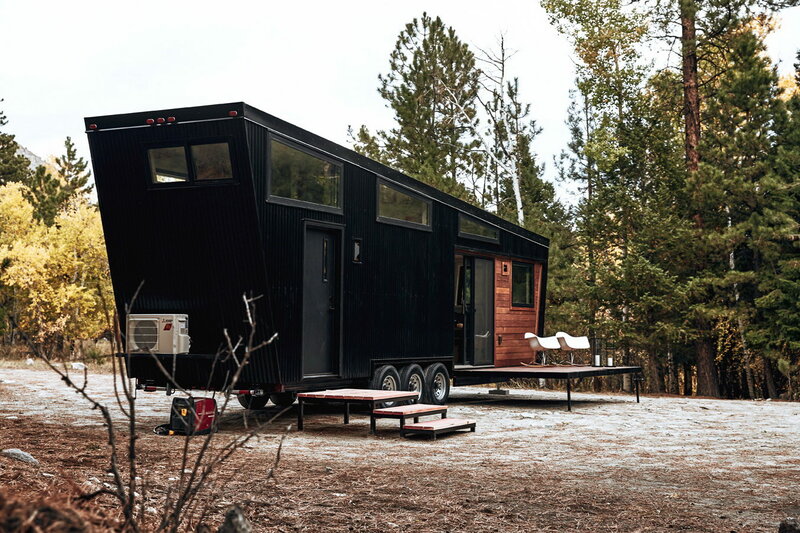 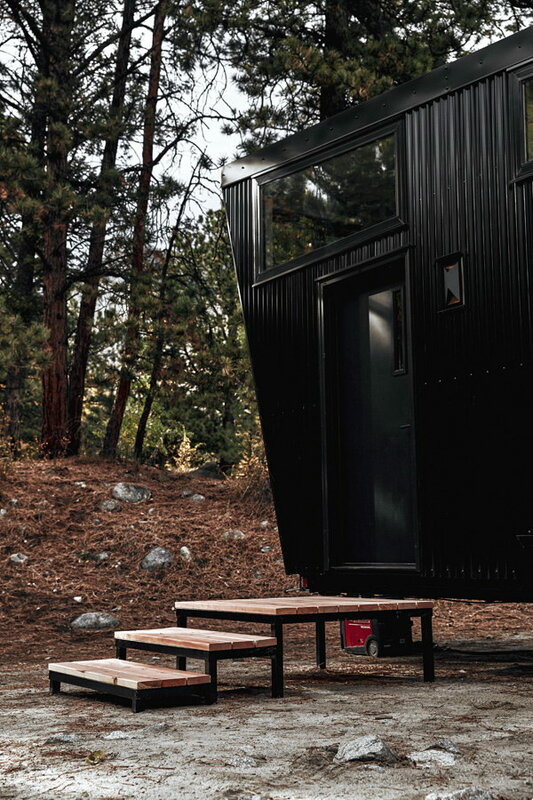 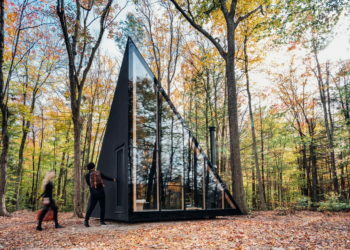 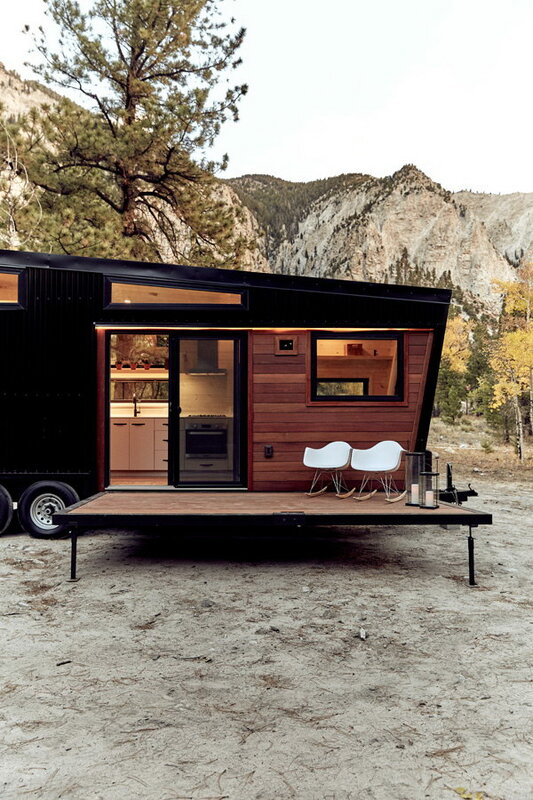 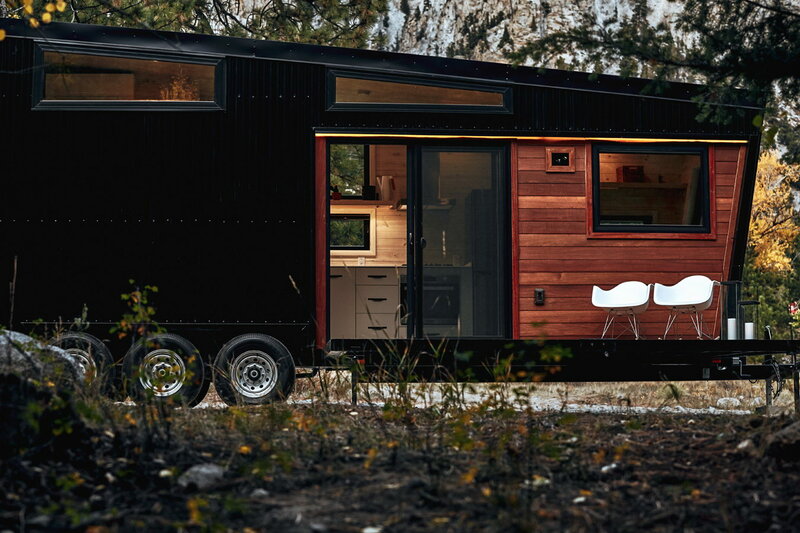 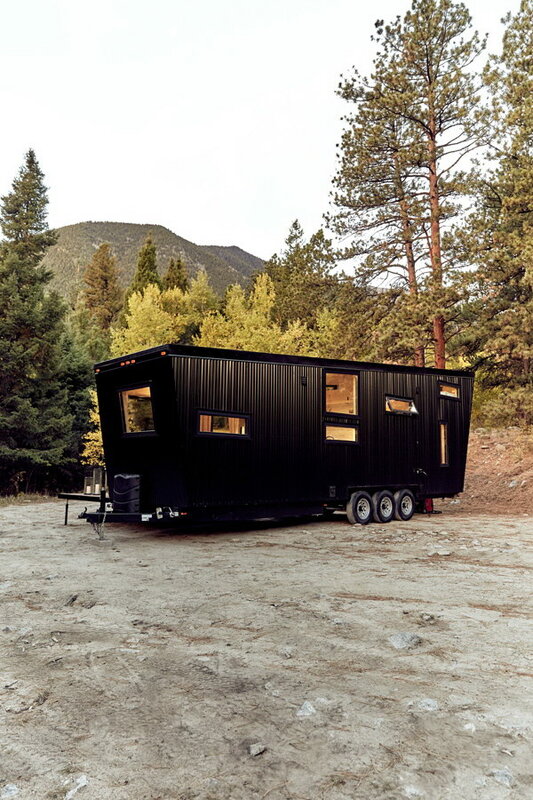 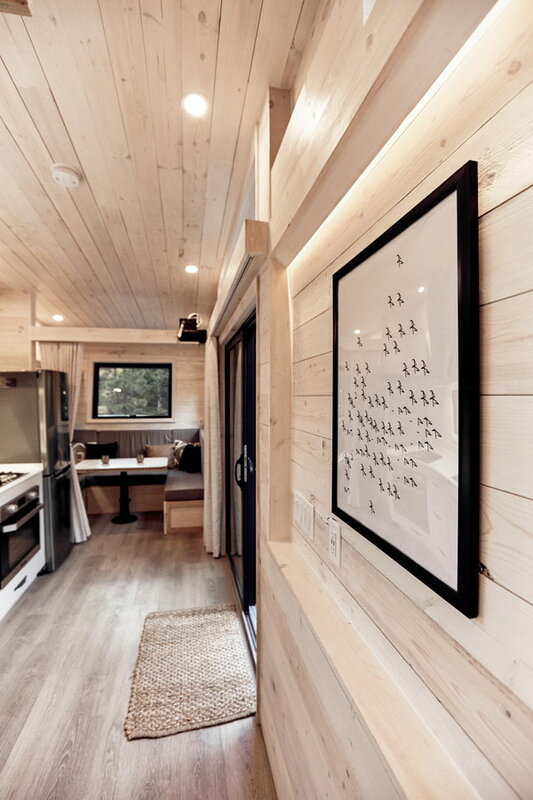 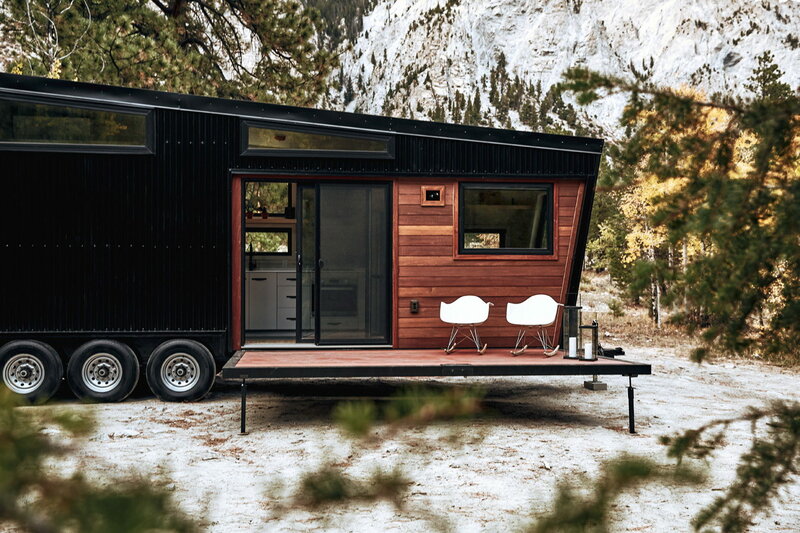 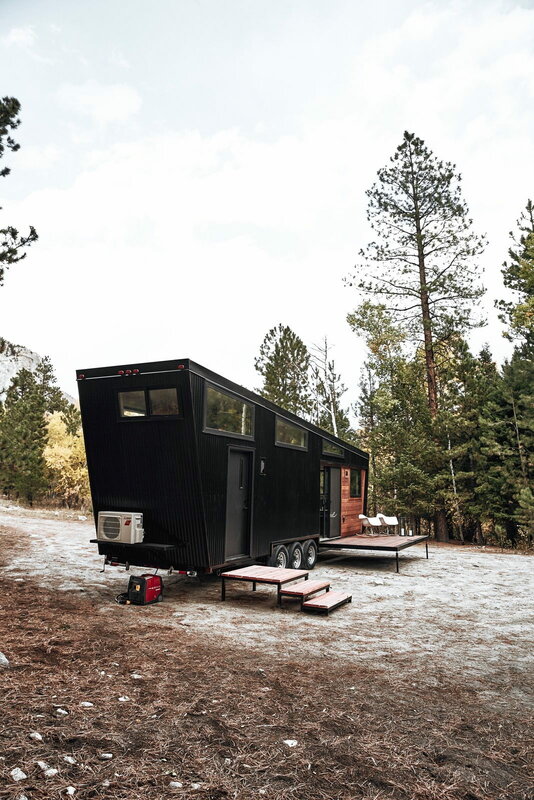 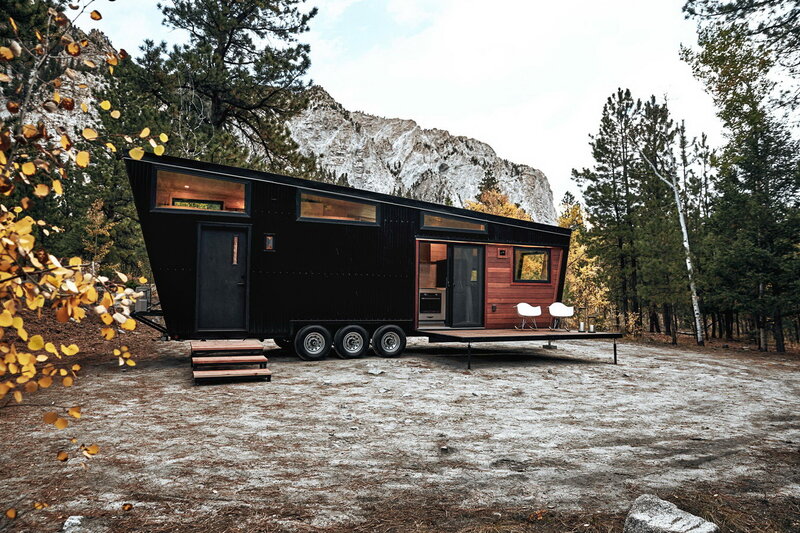 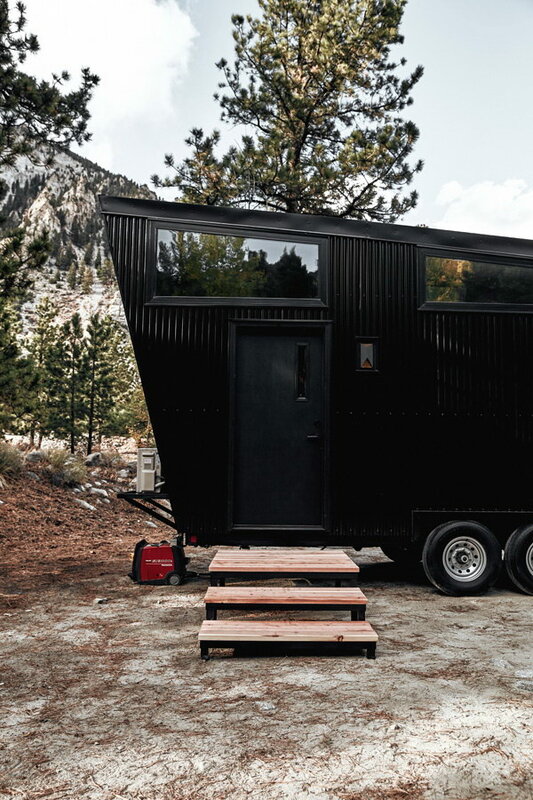 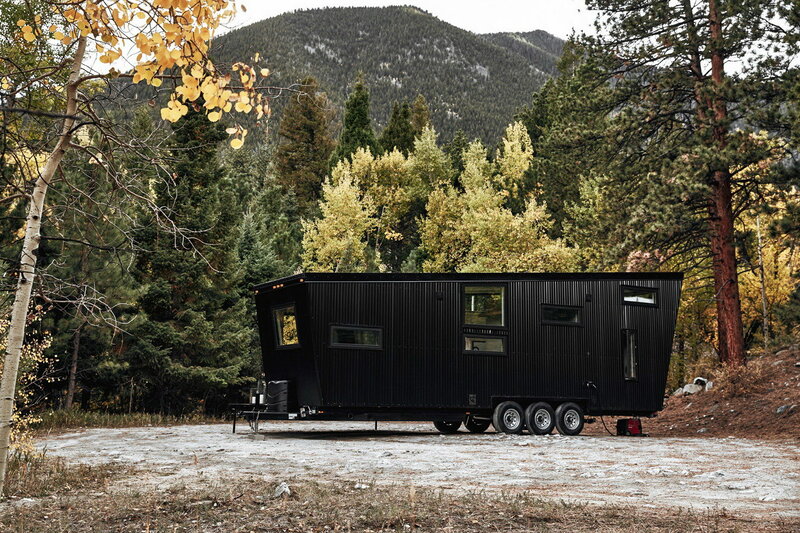 Developed by Land Ark RV, Draper is a tiny house on wheels of 300ft² (28m²) clad in jet black, corrugated steel siding and renewable Brazilian hardwood. 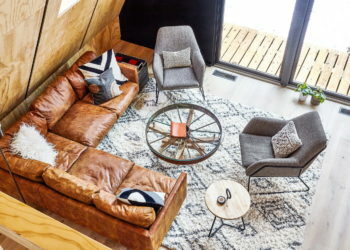 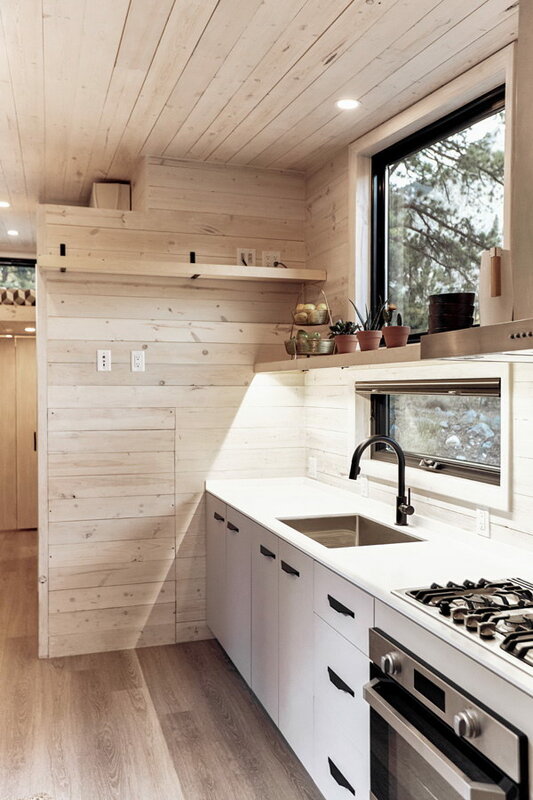 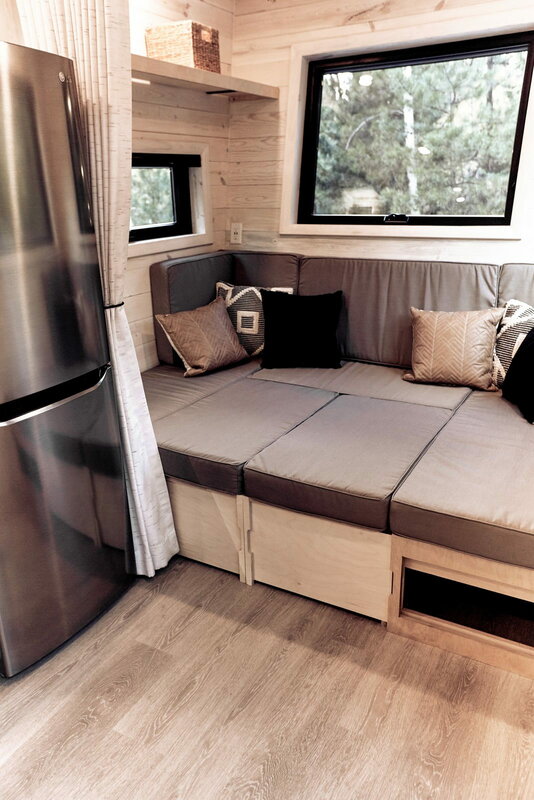 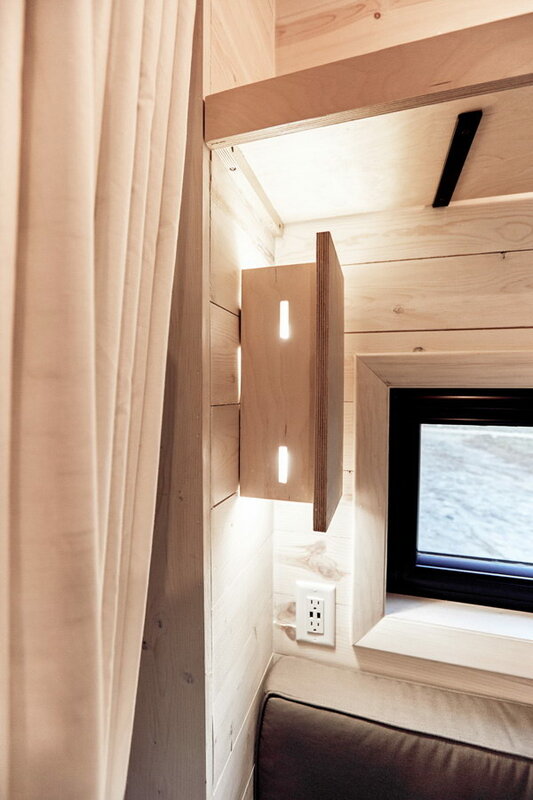 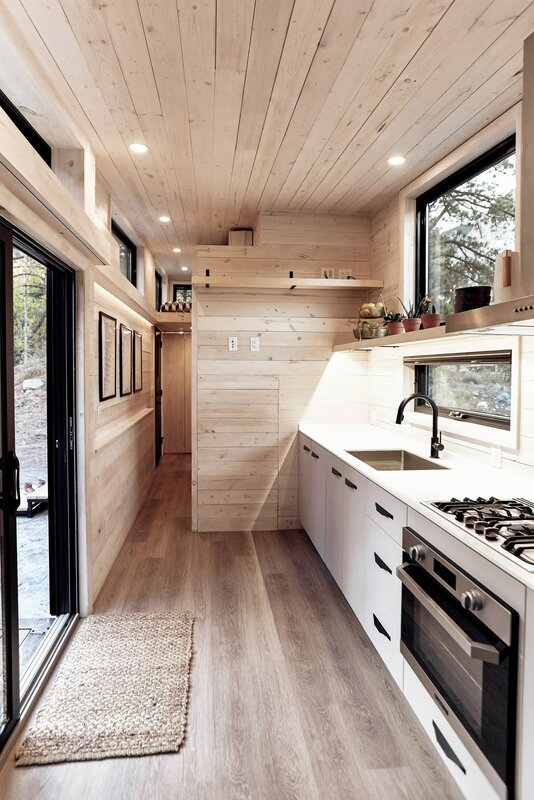 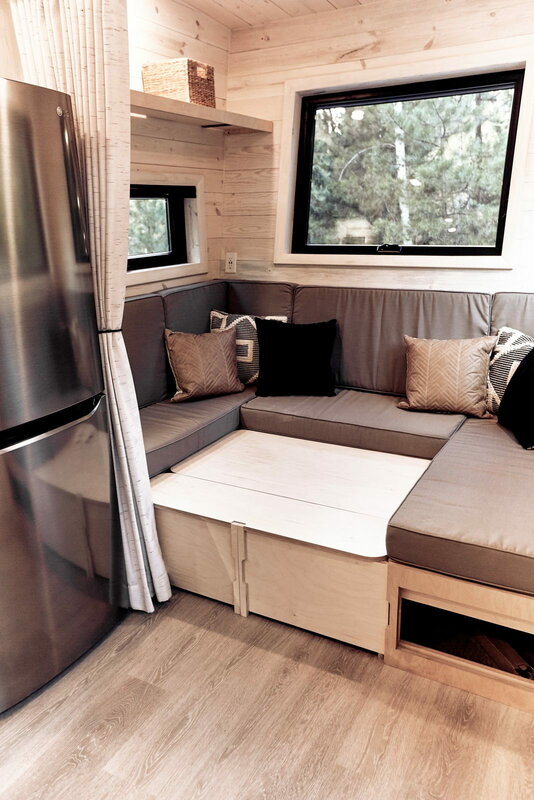 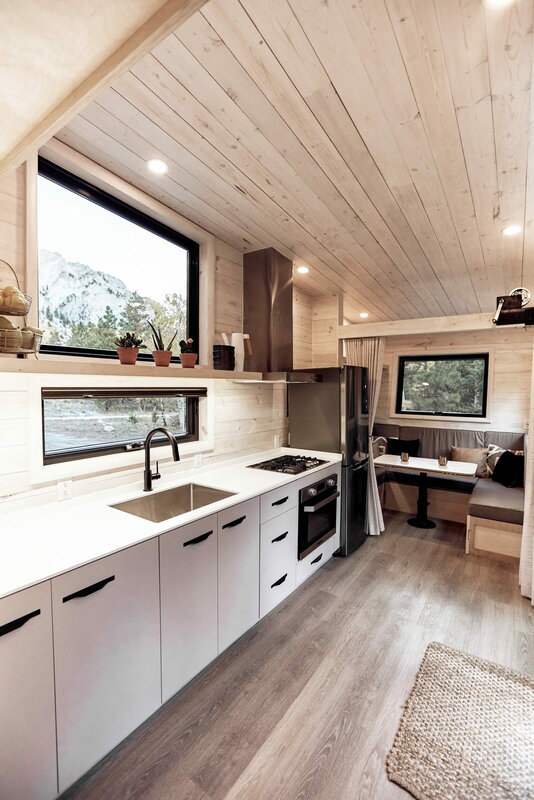 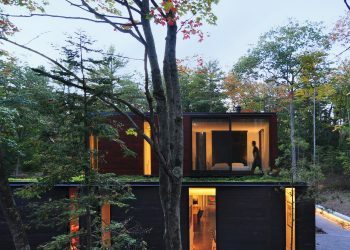 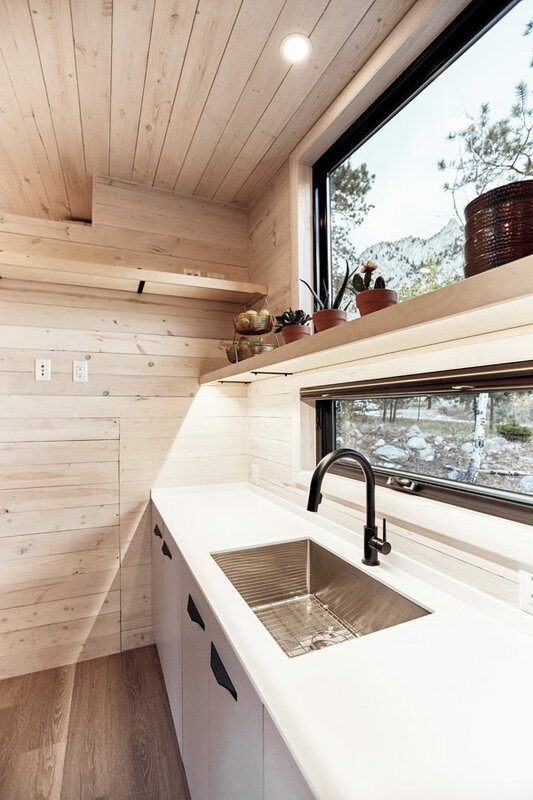 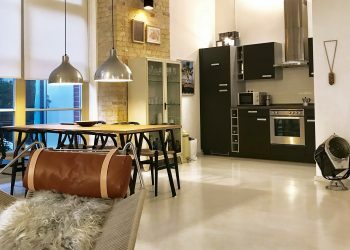 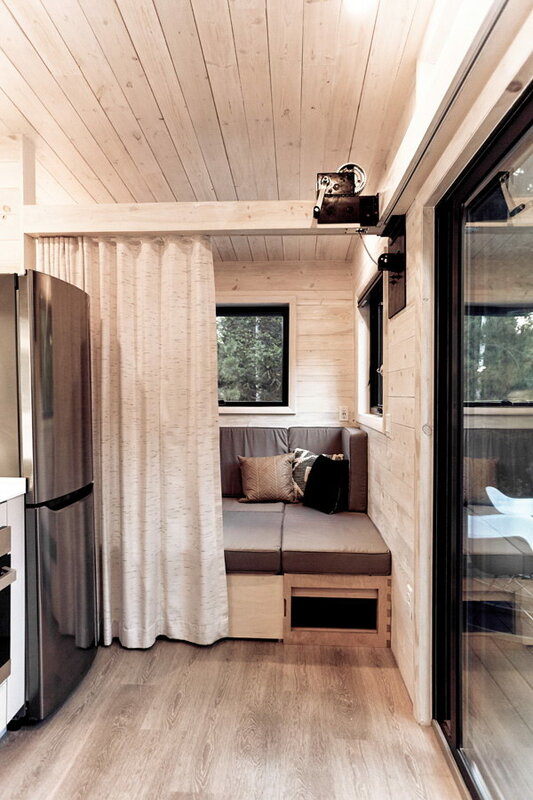 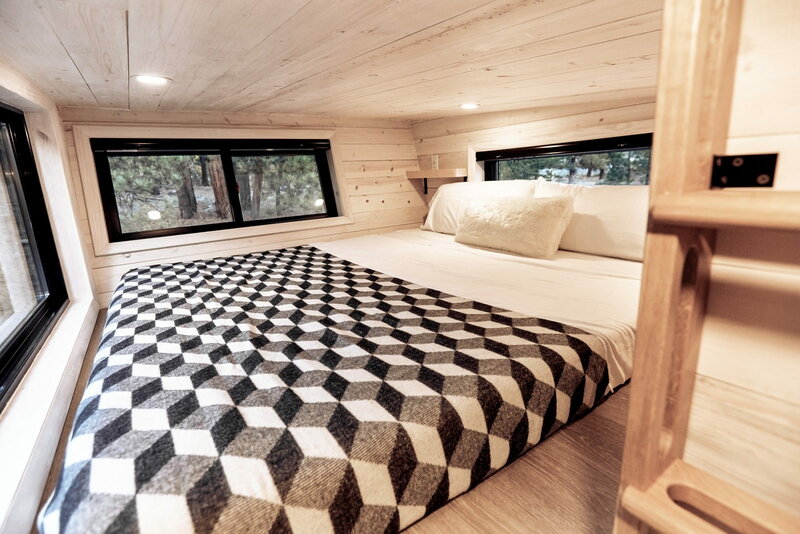 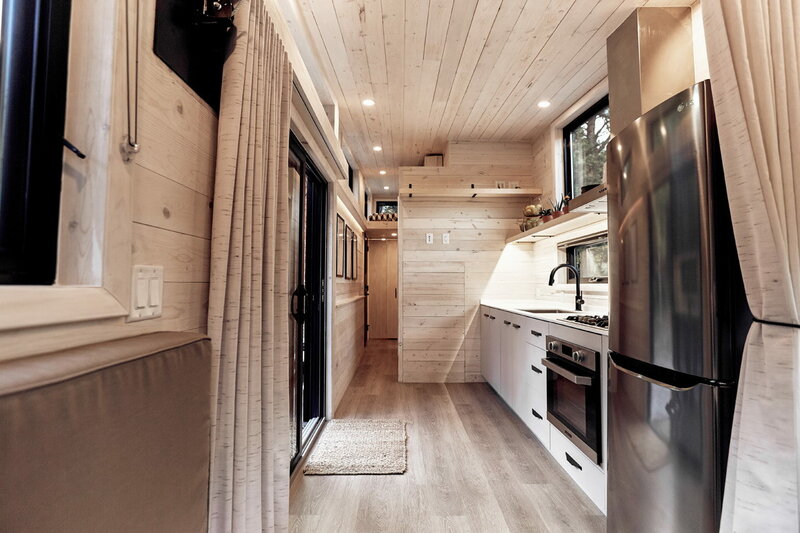 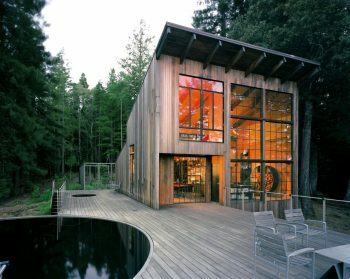 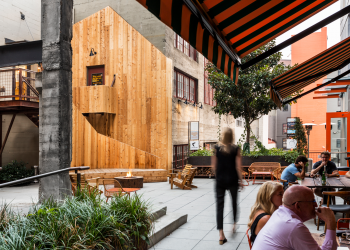 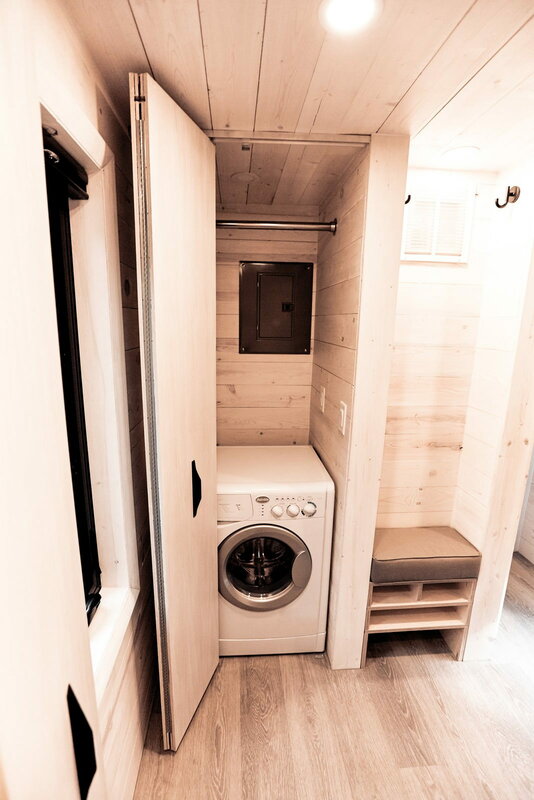 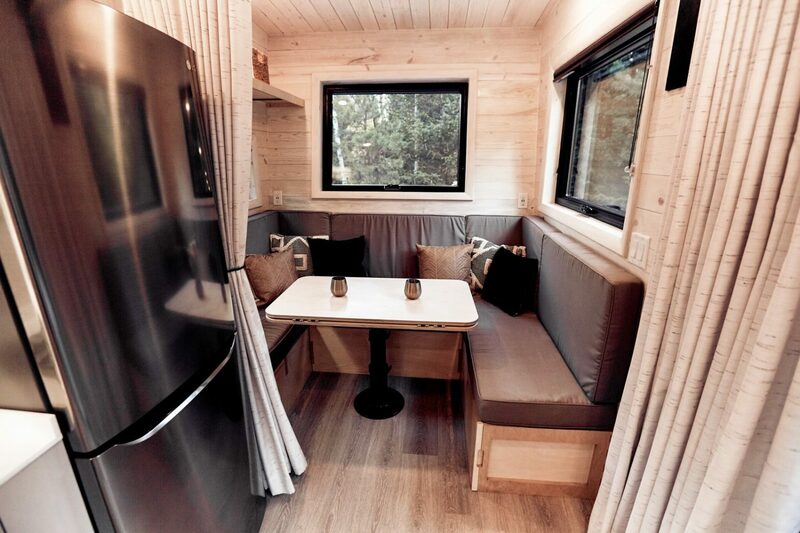 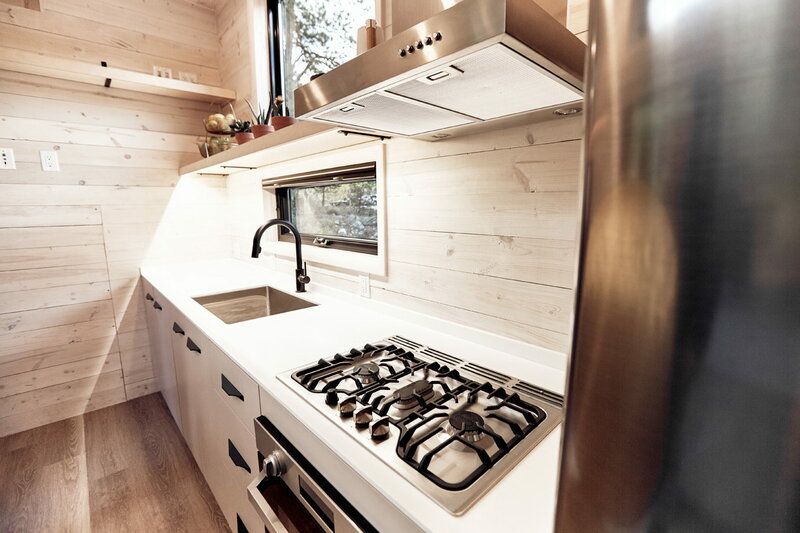 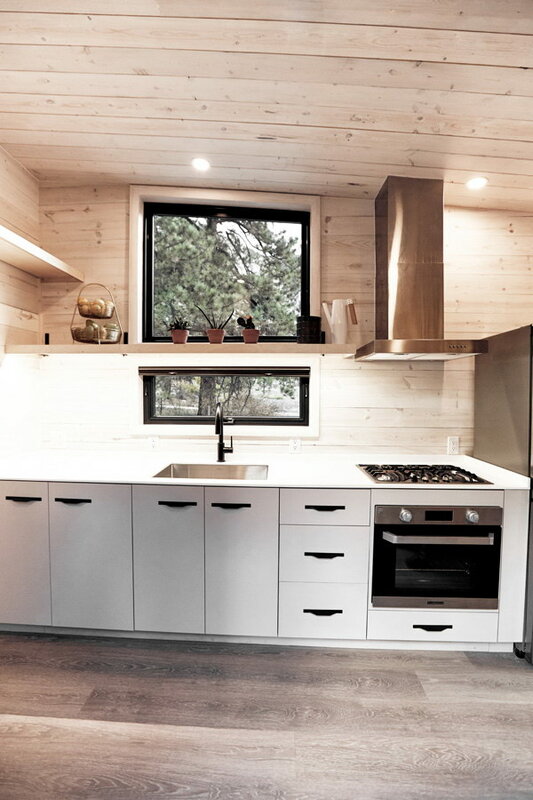 Designed to house an individual or a couple, the tiny house, however, can accommodate up to 4 people. 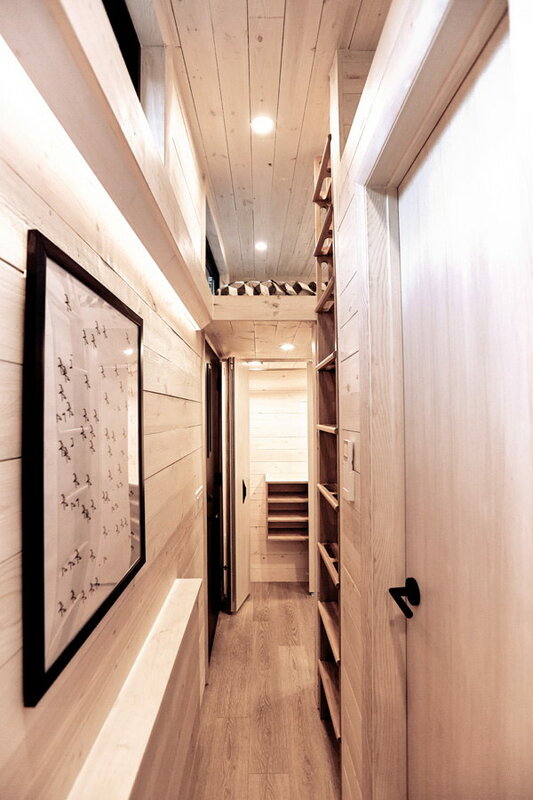 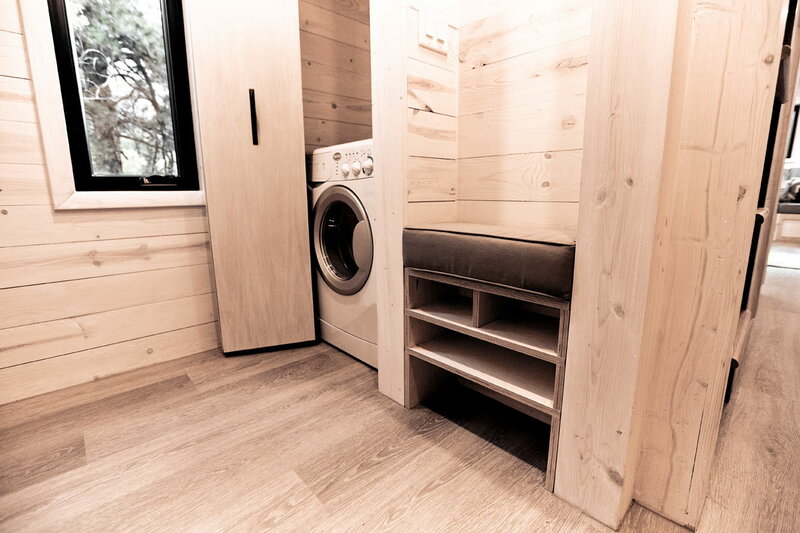 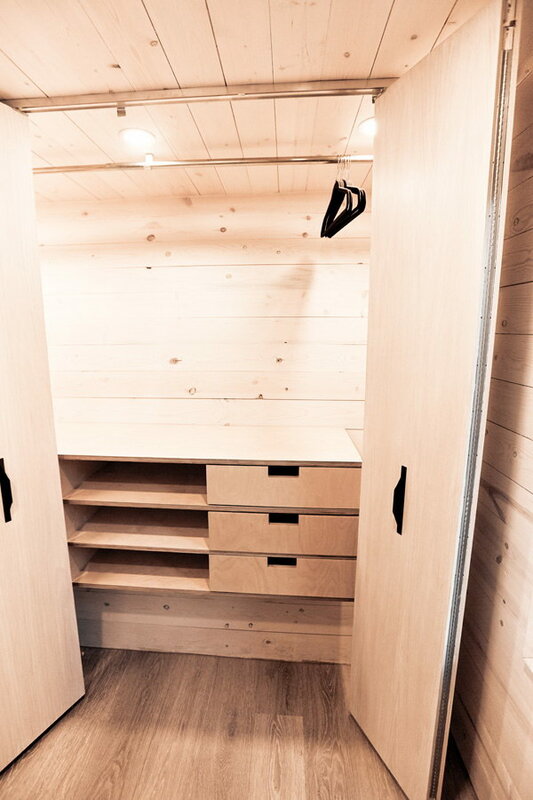 The mud room entry features a 7 ft.+ width wardrobe, a separate W/D utility closet and a nook with a bench and cubbies. Connecting this space to the rest of the interior is a gallery with recessed lighting and clerestory windows. 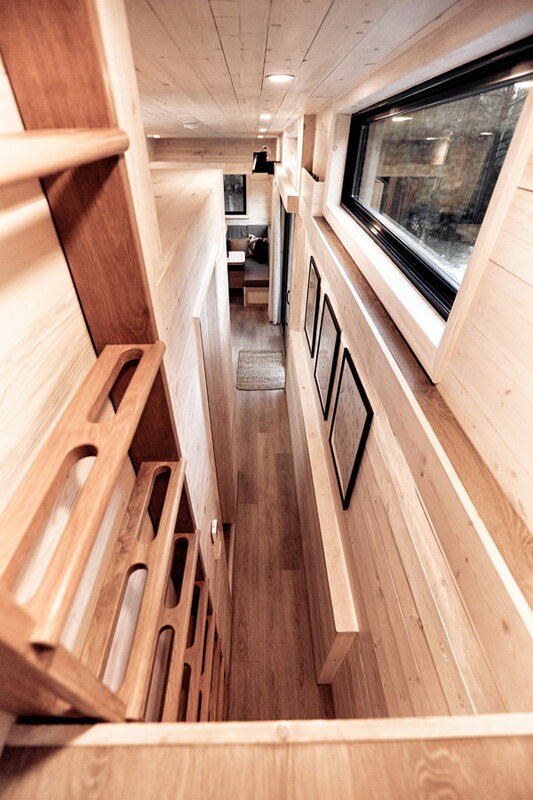 From the gallery, ascend up the custom designed oak ladder into the sleeping loft enclosed with large windows. 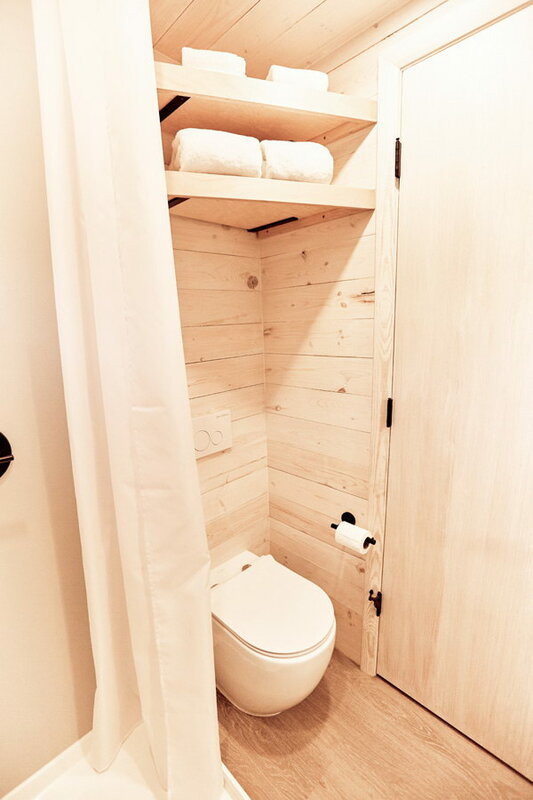 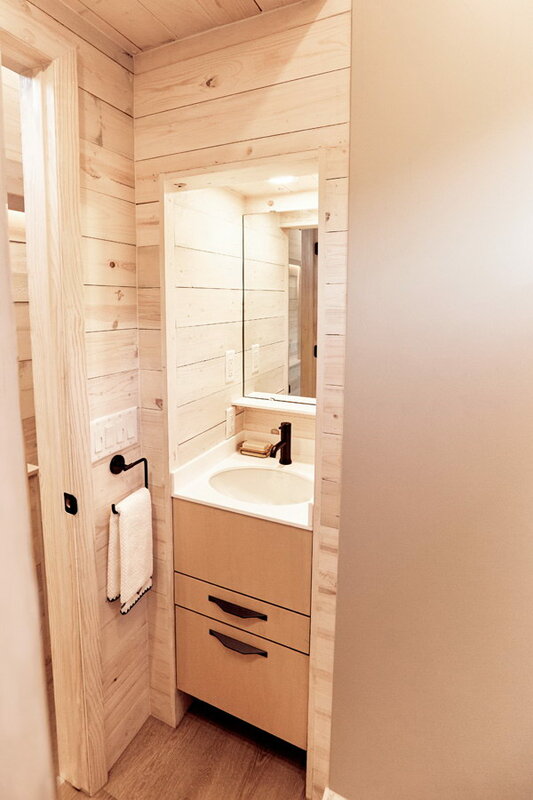 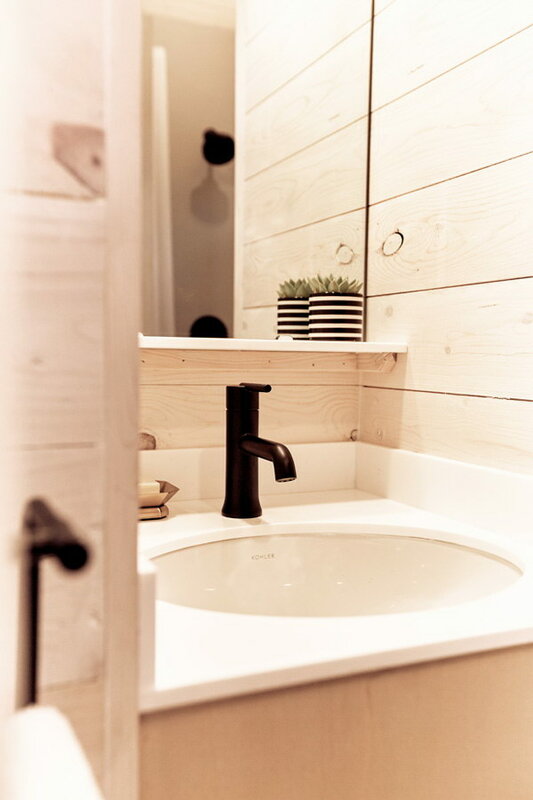 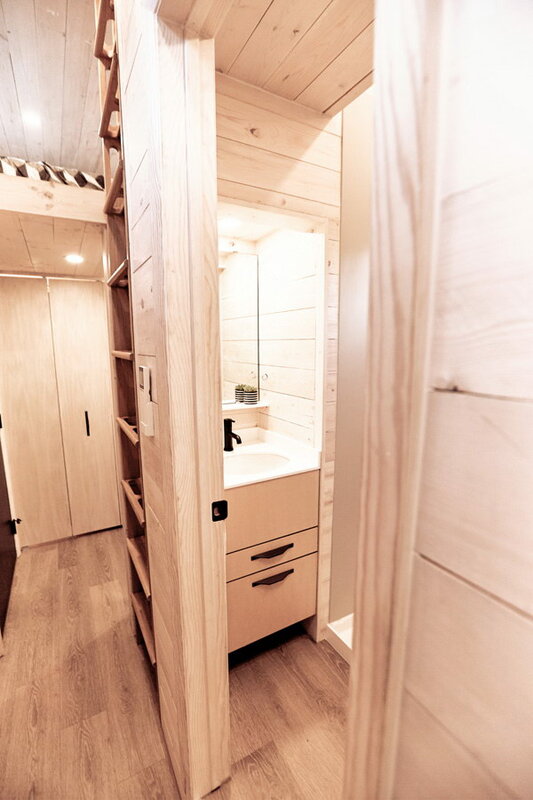 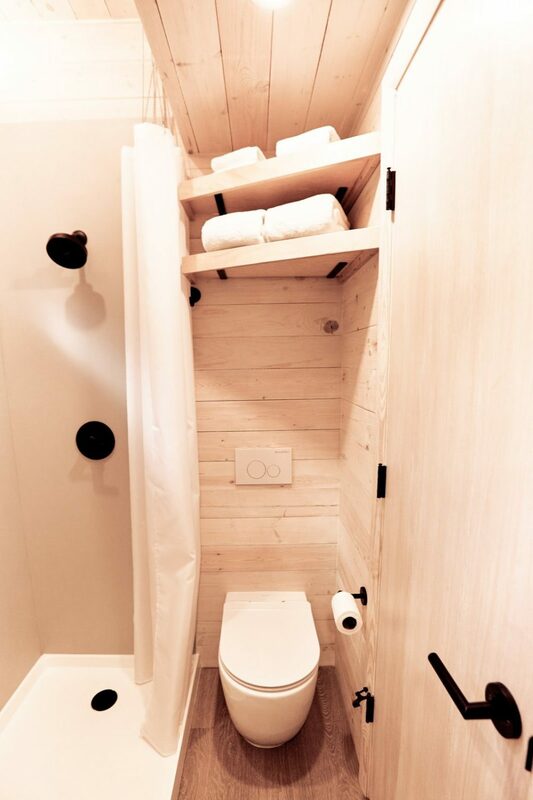 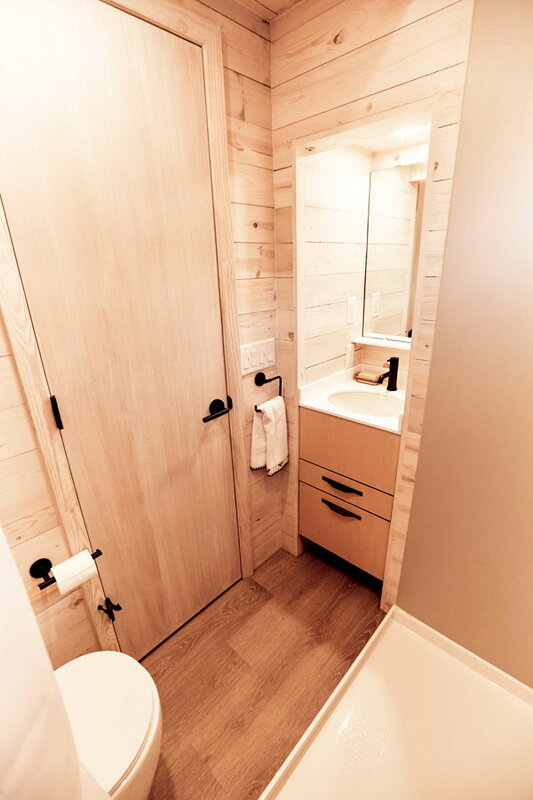 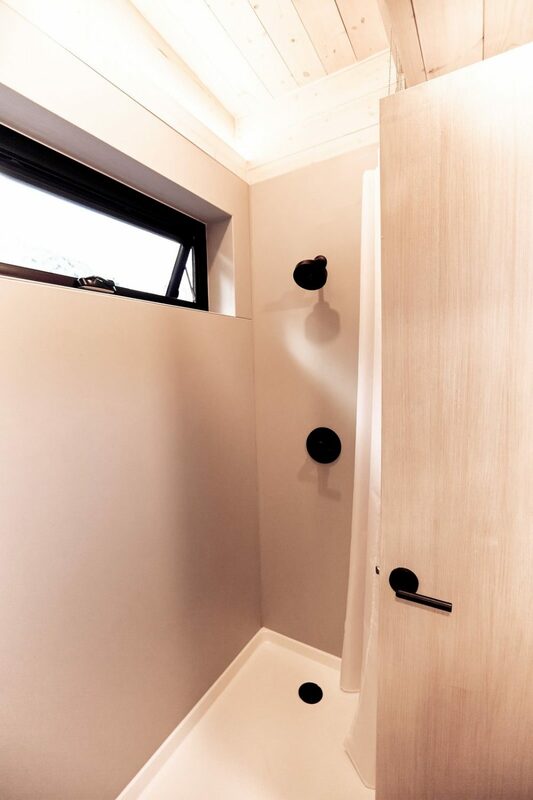 A compact, yet surprisingly luxurious bathroom features a vanity, wall-hung toilet and a full size, walk-in shower with recessed lighting and a window. 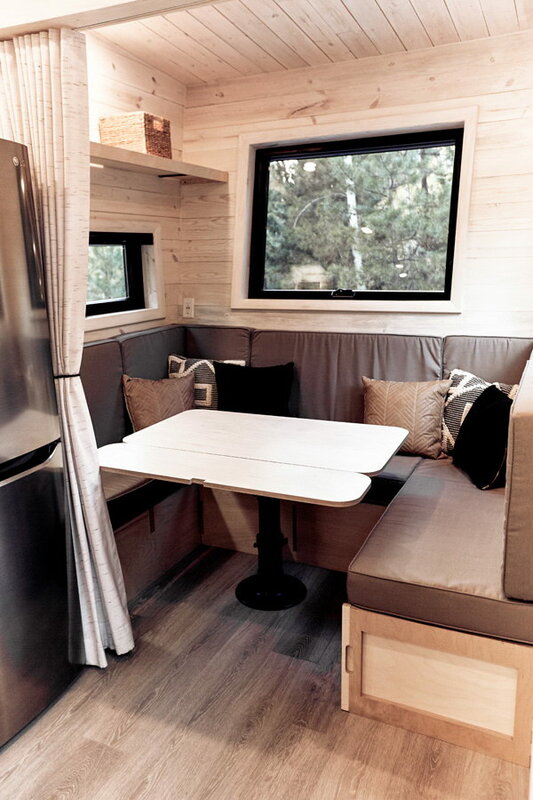 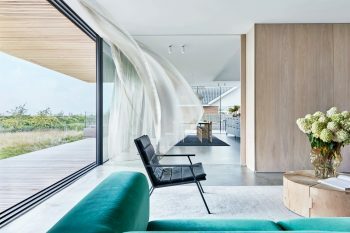 Flooded with natural light, the main living area opens up to a large galley kitchen and a convertible U-sofa that transforms into a queen bed for the occasional guest. 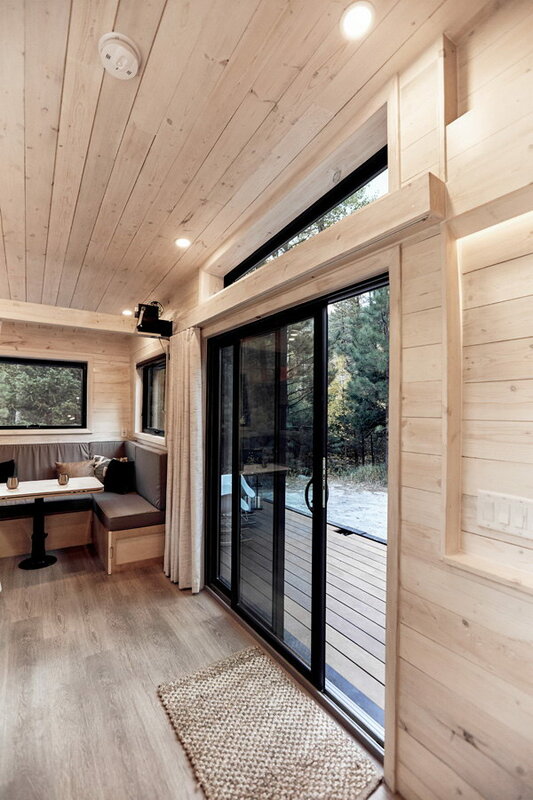 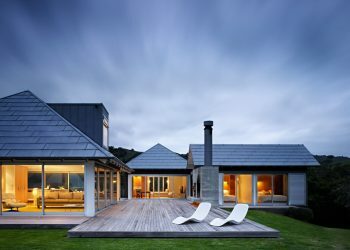 Living extends outside through the sliding patio door onto a large hardwood deck that can be raised and closed for transport.